The Carbon Air Pony Fetlock boot have been shown to defend jumping ponies from bruises and collisions to the hind limb fetlocks and part of the cannon whilst offering tendon support. The Carbon Air Pony Fetlock boot have been shown to defend jumping ponies from bruises and collisions to the hind limb fetlocks and part of the cannon whilst offering tendon support. They are made up of an external TPU structure with different thickness transpiring from the perforated neoprene and ventilated by 3 air vents. Gel-tech runs between the TPU structure and neoprene support where necessary, acting as a shock absorber and comfortable padding. The Carbon fiber elements are present beneath the shell to thermal insulate the joints from naturally generated by external friction whilst increasing the mechanical resistance to impacts. 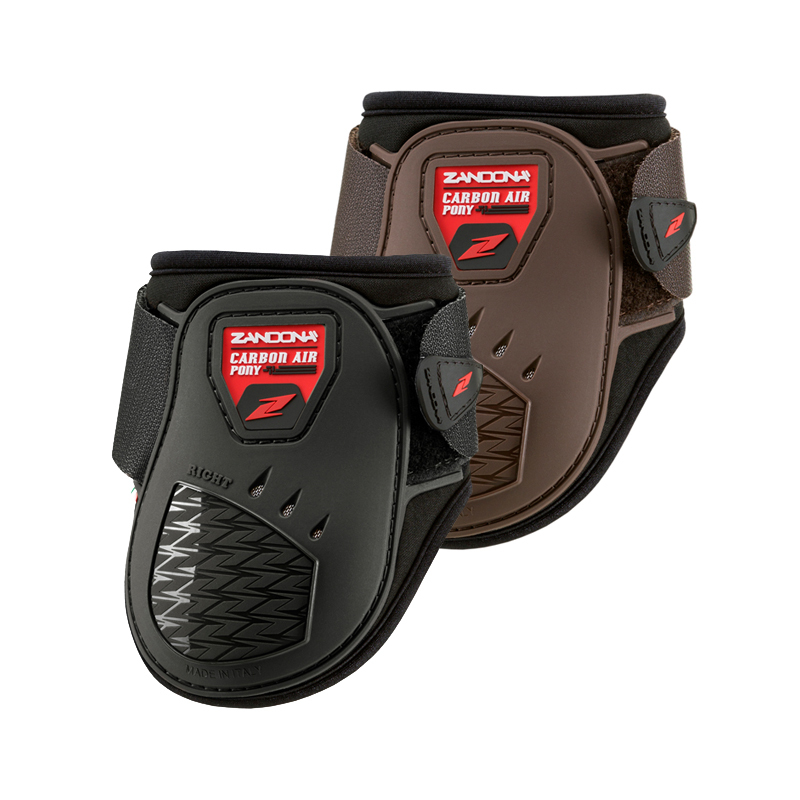 Fetlock girth = 10" - 11.2"